The ROI of employee training and development done right is massive. To be specific, employees who receive formalized training generate 218% more income than their untrained peers! 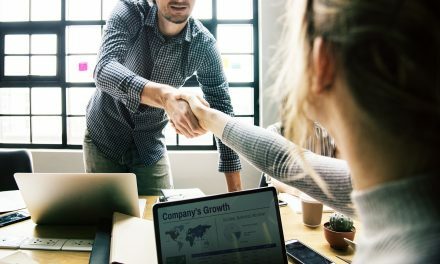 If you haven’t formed a learning and development strategy for your workforce yet, this brief guide will show you how to get a solid start in three steps. Learn how to create a skills inventory, assess internal and external training resources, and incorporate adult learning principles into your training content. Job histories do an excellent job of listing the accomplishments of your employees. But a skills inventory lets you see which employee attributes made those achievements possible. The latter provides an easy-to-view list of your workforce’s current skills, areas of expertise, and interests. Identify the skills gap in your company. An organization which relies on a single worker to perform a mission-critical task is at risk of failure. With a skills inventory, you can find these points of failure and patch them up with targeted training. Find internal hiring opportunities at a glance. Simply search through the inventory, see which employees come close to meeting the position’s requirements, and start the interview. All done without the mind-numbing search through dozens of folders and candidates. Help your employees find more satisfaction and boost motivation at work. Dan Pink, the best-selling author of Drive, identified mastery as one of the leading motivators at work. People want to get better at what they do, and a skills inventory lets you see which areas your workers want to excel in. Today’s databases are versatile and granular, allowing you to add multiple fields and categories in your employee skills inventory. But if you don’t have such a database software and budget is a concern, know that a spreadsheet tool like Google Sheets will do just fine. 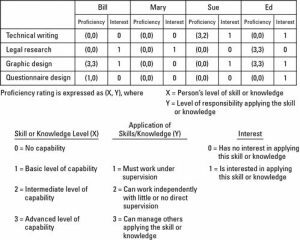 If you’re taking the low-tech and inexpensive approach, check out Dummies handy skills matrix template. Whichever route you decide to take, however, remember that communication is a must when building your inventory. Explain to your employees that you’re building an inventory to find training opportunities and help them expand their arsenal of marketable skills. Ask employees how they feel about their current tasks, too. Do they find their jobs interesting and engaging? If not, dig deeper to learn the reason why. This way, you can consider the possibility of rotating assignments and tweaking tasks to make them appealing to employees. With a current skills inventory on hand, you can now decide which areas of expertise to focus on in your employee training and development plan. You will also want to decide whether to enlist the help of professional trainers outside of your organization or use an employee-to-employee training program instead. If you want to take the latter route, Google is an excellent source of inspiration and ideas. About 80% of all the training sessions that take place in Google are run through the G2G (Googler-to-Googler) network. The employee-to-employee network boasts over 6,000 employees from every department of Google, all of which have dedicated a portion of their time to helping their peers learn. 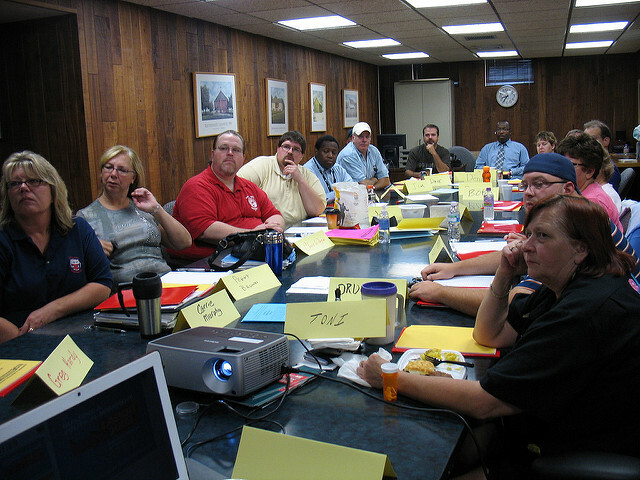 The advantages of an employee-to-employee training program are immense. “Your own employees are perhaps the most qualified instructors available to you. 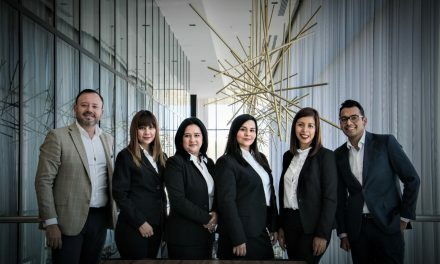 Employees develop and grow by teaching others, and the people in your organization get to learn from peers with first-hand knowledge of the business,” said Google in their re:Work blog. Not only does employee-to-employee training allow organizations to scale learning curriculums. But it also fosters a culture where everyone values knowledge sharing and continuous development. An employee-to-employee program does not fit every company or business. If you mandate participation with the aim of reducing training costs, workers are likely to end up resenting the program. The employee teachers, in particular, may view the initiative as a ploy to pad up their list of responsibilities without any increase in compensation. Worse, the teachers may deliver rushed classes which will only confuse employees in attendance. Note, too, that you should consider your company’s size during this stage. Looking back to Google’s example, its entire G2G network is comprised of volunteers which is key to the program’s success. If you want to follow suit, you need a large pool of employees to draw volunteers from – and most small-to-medium-sized businesses don’t have that. You also need to take the cost of selecting, supporting, and training employee teachers into account. Do the math and compare the numbers with other means of training, such as hiring vendors or a full-time learning and development department. Ensure the content matches the employee teacher’s expertise. If you’re training senior leaders on a sensitive or highly specialized topic, employee teachers may not have the technical and strategic knowledge necessary. In such cases, hiring a training professional is your best bet. You’ve built a skills inventory and decided whether to use internal or external training resources. Now you need to design the content of your training. And at this stage, you need to consider what makes an adult learner’s mind tick. Malcolm Knowles introduced the term “andragogy” during the 70s, describing the differences between adult and child learners. In his work as an educator, Knowles came up with the widely recognized principles and assumptions about adult learning. The need to know. Adult learners need to know why they must learn something before proceeding. With this principle in mind, employee facilitators and teachers must help their students find their “need to know” to establish the importance of the training and development program. Self-concept. Unlike toddlers at school, adults are in charge of their lives and their learning – and you’d do best to treat them as such. Instead of consigning them to a passive learning role, create the appropriate environment and give them the tools which allow them to steer the direction of their training. Past experiences and interests. While children are still in the process of gaining new experiences, adult learners have them in spades and they bring it with them in every learning activity. These varying experiences create differences in their preference for delivery styles, motivations for learning, interests, and goals. And you will need to tailor your training based on the individual. Readiness to learn. Adults are more open to training programs if the things they’ll learn will help them cope with real-life situations and current tasks better. So train them on skills they can put into practice today. Focusing on skills which do not relate to their current roles is likely to prove ineffective. Internal motivation. External motivators like good or bad grades may motivate a child to study. But urging adults to learn requires one to tap into their internal motivations, like better self-esteem and increased job satisfaction. 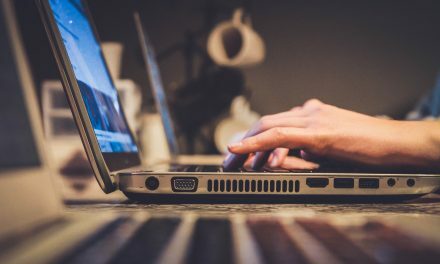 Use the principles above when designing training content for your employees, and you can look forward to a more responsive workforce that loves to learn. The principles will also help you avoid the mistake of prescribing a cookie-cutter approach which employee learners are most likely to ignore. 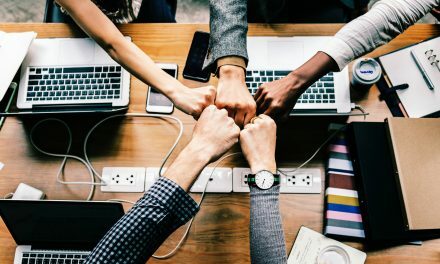 NextHow To Start A Business With No Money — Is It Really Possible?